In an unusual move for a dictator, the President of the Democratic Republic of Congo, Joseph Kabila, has decided to step down, opening the door for a possible regime change. 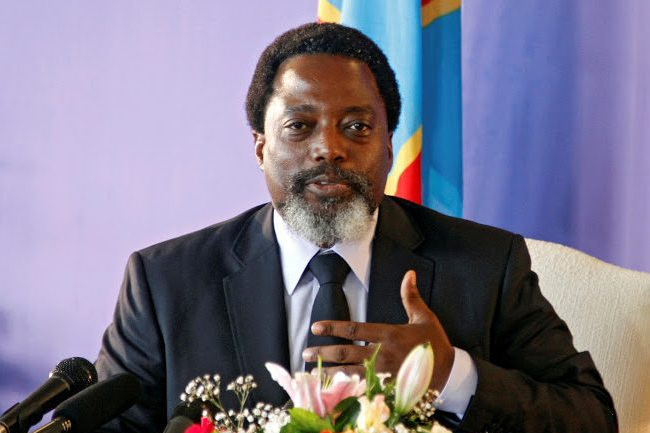 Kabila who inherited the position from his father in 2001 after an assassination, has been deeply unpopular among both the Congolese people and the international community. Although other dictators such as Russian President Vladimir Putin have been much subtler about their political aspirations, Kabila has overtly defied the laws of DR Congo. In 2016, when he was required by the constitution to retire after serving two terms as president, he simply ignored the rule of law and pushed back the election, claiming that the number of voters wasn’t known and therefore an election would be unfair. Kabila’s response to protests regarding his electoral manipulation was wrought with violence and controversy. In 2016, the government fired on opposition marchers, killing somewhere between 17 and 50 Congolese. The government acknowledged some deaths but claimed that violence was justified by the supposed burning of three government police officers. Kabila has not shown he is ready to fully relinquish power; his party, the People’s Party for Reconstruction and Democracy (PPRD), plans to nominate Emmanuel Ramazani Shadary for president among a field of eight candidates, and Shadary is seen as a puppet of Kabila’s. Shadary, who is generally unpopular with the Congolese people, has been sanctioned by the EU for suppressing protests. If Shadary wins, it is likely that election tampering occurred. It is also probable that he will to PPRD party lines, and will bend to the will of Kabila, who effectively controls the party as a part of the family political dynasty. Primary among challengers to Shadary is former vice president Jean-Pierre Bemba, who has been in exile since 2006. For the past 10 years, Bemba has been imprisoned in The Hague, Netherlands, on war crimes committed as a rebel leader. His conviction was overturned, however, and he returned home last week. Bemba’s return has been eventful, to put things lightly. He was greeted by throngs of supporters, who were subsequently fired upon and dispersed with tear gas. He then traveled to meet more supporters at Liberation of the Congo Party headquarters, where he had meetings to prepare for the December elections. His home in Kinshasa, which is close to the presidential palace, was seized in the meantime. This was the first such public protest against Kabila since the government banned protesting in 2016. His supporters view Bemba as a champion of the native Congolese; concerns arose during Kabila’s first election that his mother was Rwandan. Citizens are also worried that Kabila’s rule has isolated DR Congo from more free nations, and view Bemba as a viable alternative to the regime in place. Bemba faces an uphill battle, however. For one, before he can officially run, he must submit relevant paperwork to the Congolese Electoral Commission. The Commission is run by Kabila’s government, and due to dissent and harsh criticism of the government in 2003, Bemba’s requests for candidacy are likely to be rejected. Moreover, Congolese electoral law demands that a candidate must be in the country for the year prior to the election. Due to his imprisonment, and a pending conviction for witness tampering in his war crimes case. While he isn’t likely to have to return to Holland to serve time on the witness tampering charge, the conviction may be a significant blight on his record. Another supporter, Moise Katumbi, has been barred from entry into the country. He was convicted without an in-person trial of real estate fraud and has been in Belgium since 2016. He claims the conviction is a ploy to derail his political career as an opposition to Kabila. Since he was not in the country two days ago, he has missed the election filing deadline and cannot participate in the election. Kabila’s tenure has been marked by corruption leading to famine and widespread poverty. According to the UN, 13 million Congolese live in poverty and need humanitarian aid. Kabila has also had mixed success controlling the Ebola virus; he has deployed experimental drugs to control the spread and has experienced relatively few deaths, but DR Congo been plagued by outbreaks and has a high mortality rate from Ebola. DR Congo contains trillions of dollars of mineral wealth, and corruption has been rampant in the country since its founding. It contains the world’s largest supply of cobalt, a mineral needed in the technology of the future – iPhones and Tesla vehicles both use the rock to power their products. Multiple foreign entities cheered the move but expressed concern for the freedom of future elections. The Catholic Church called it a “big step,” but US ambassador to the UN Nikki Haley said she hoped that “all necessary steps” would be taken to ensure a fair election. Human Rights Watch’s Africa deputy director noted that delays could happen in the election, or the electoral commission could invalidate potential candidates for punitive reasons. Africa is a continent that has a reputation for producing illegitimate leaders, and to step fully into the global order, must buck that trend on a large scale. If DR Congo is any indication, little has changed. Next The Dawn of a New Ethiopia, or the Last Gasp of Calm Before the Storm?